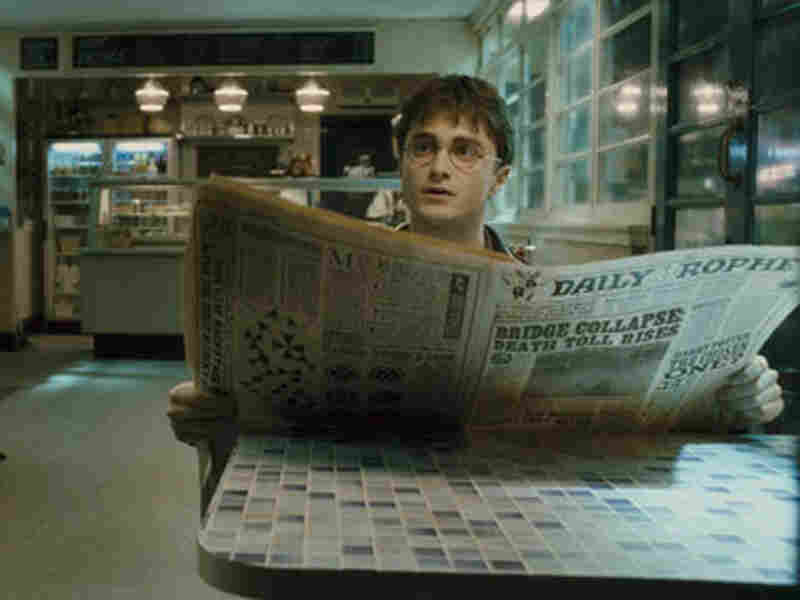 Movie Review - 'Harry Potter' And The Swine Flu News Blues With a wave of his wand, Harry Potter can separate movie patrons from their money. But he can't magic away the swine flu virus. Critic Bob Mondello files from Argentina, where the blockbuster's opening was postponed a week. Bad News, Half-Blood: In Argentina, the release of Harry Potter and the Half-Blood Prince has been postponed to impede the spread of swine flu. Growing Pains: Harry Potter (Daniel Radcliffe) and Ginny Weasley (Bonnie Wright) find a more mature brand of magic in the sixth installment of the Harry Potter series. 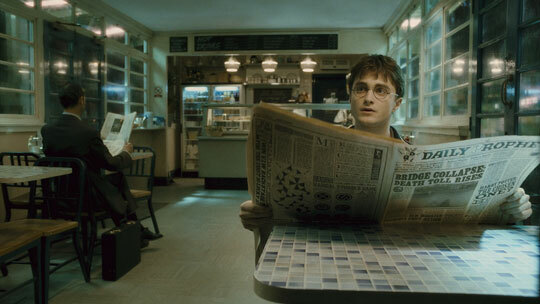 With a wave of his wand, Harry Potter can separate millions of movie patrons from the contents of their wallets. But he can't wave away swine flu. In Argentina, where I'm spending some time this summer, it's called "Gripe A," and to impede its spread, authorities have told movie theaters to reduce the number of tickets they sell — and to ask moviegoers to leave seats between themselves and other patrons. These not being ideal conditions for premiering a worldwide smash like Harry Potter and the Half-Blood Prince, Warner Bros. decided to postpone the film's opening here by a week. Happily, I was able to catch a critics' screening, and though reviewers had to sit close together in a small screening room, no one sneezed, so the magic went undisturbed. It's a more mature magic than in previous Potter movies. Harry (Daniel Radcliffe) and his buddies Ron (Rupert Grint) and Hermione (Emma Watson) have grown up a bit since we last saw them, and are now subject to the same raging hormones as any other 16-year-olds. Under the tutelage of a Hogwarts faculty culled from the highest ranks of British thespians, our spell-casting heroes and their classmates are learning to brew love potions this year, with results mostly played for laughs — as when Ron eats some romance-inspiring cookies meant for Harry. As with the rest of J.K. Rowling's adventures, however, the real world is never too far away. Unrequited crushes inspire the shedding of a tear or two. And there's nothing terribly subtle about the way director David Yates shoots the film's mandatory Quidditch match, with randy boys showing off for their girlfriends by riding their brooms for all they're worth. Sometimes, as Freud would doubtless say, a broomstick is just a broomstick. Here, not so much. Still, all of that will doubtless fly right over the heads of younger audiences, who will delight in the hugely popular franchise's customary displays of magic. That the action pauses this time to set up emotional conflicts alongside the ones that rely primarily on special-effects wizardry — well, count that as a boon for any adults who are brought along for the ride.